One criterion for assessing the performance of national family planning programs concerns the extent to which programs enable women of reproductive age and their spouses or partners to satisfy their childbearing preferences. Fecund women of reproductive age are said to have an unmet need for modern contraception if they desire no more children or wish to delay their next child by two years or more, but are not using a modern contraceptive method. 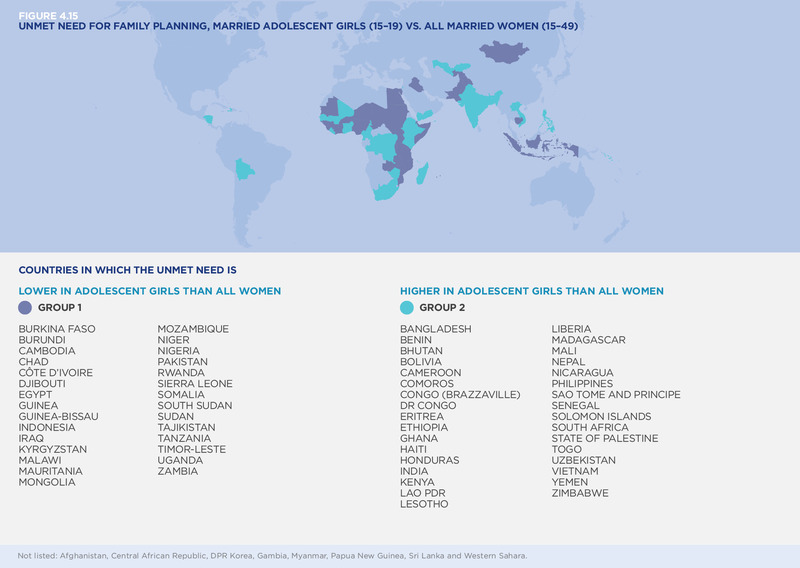 Learn more about unmet need for modern contraception and percent of demand satisfied in our full progress report.